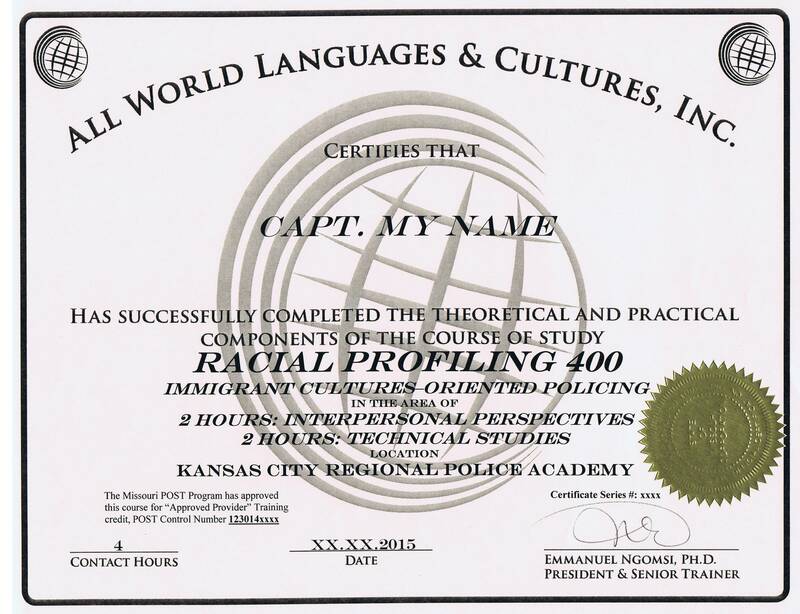 Racial Profiling - ALL WORLD LANGUAGES & CULTURES, INC. 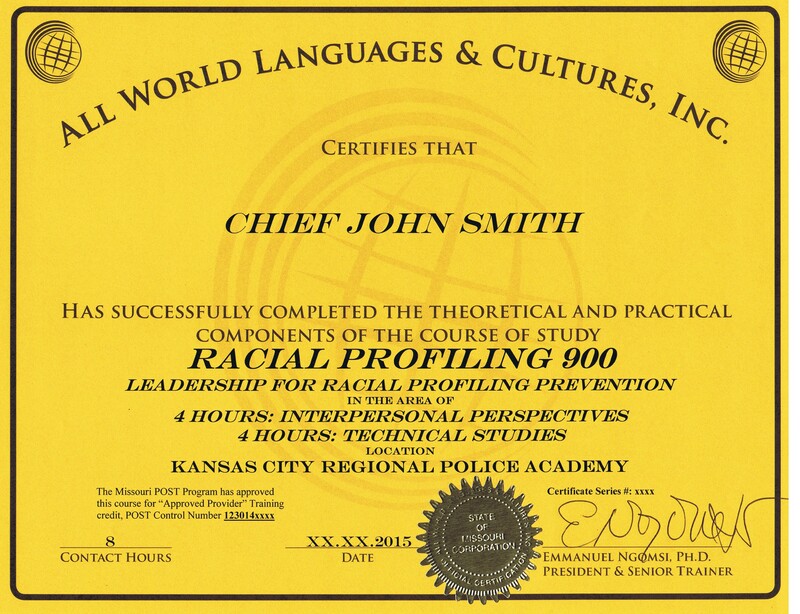 This course is designed to prepare racial profiling facilitators, civilians or law enforcement professionals alike, to deliver fair and impartial education, using fair and impartial instructional methodology, activities, contents, ideas, and discussions. 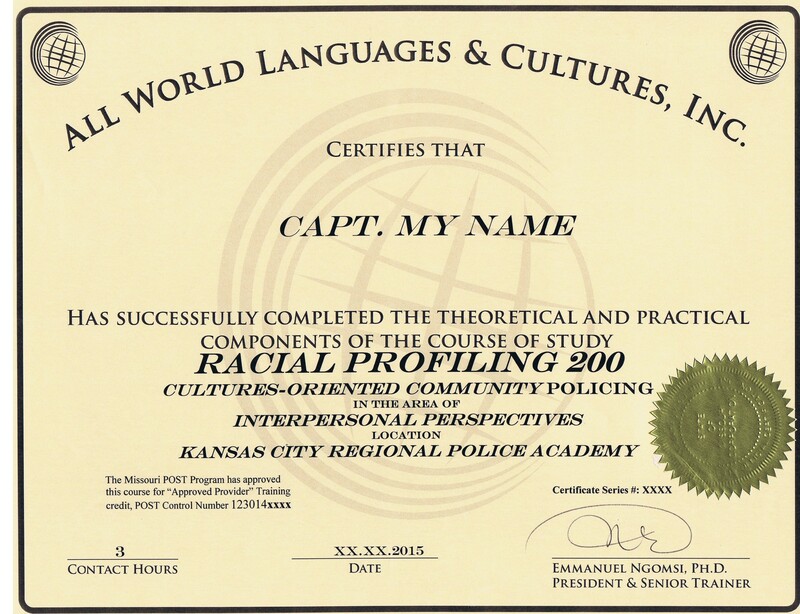 If you are a current facilitator, or aspiring to become an effective racial profiling instructor, this course is for you. 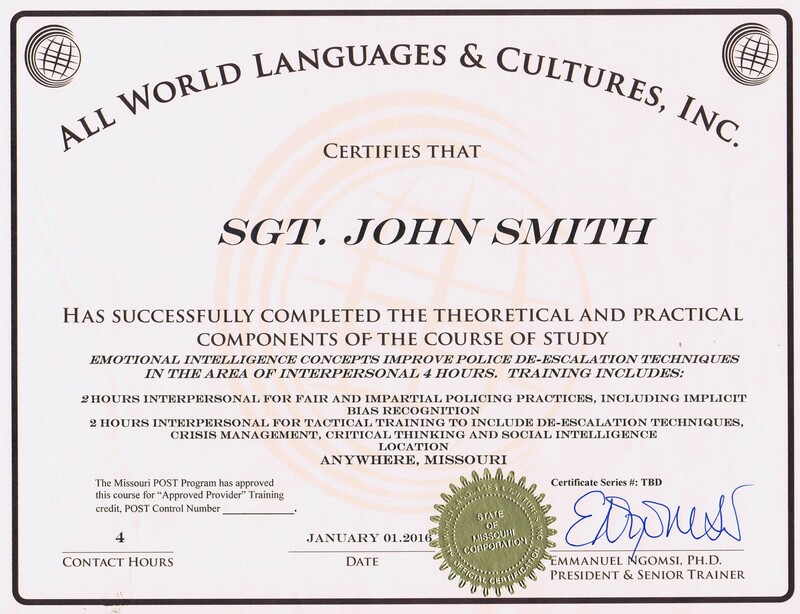 You will learn general instructional methods designed to equip you with enhanced foundations of intercultural communication processes, human behavior and emotional intelligence. 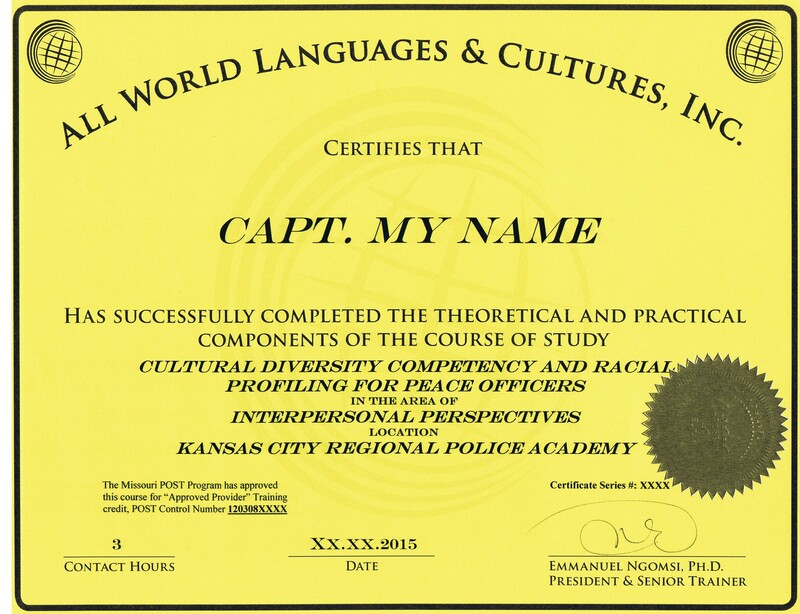 You will expand your strategies to develop cultural competency through the ability to bridge cultures during interactions and crisis. 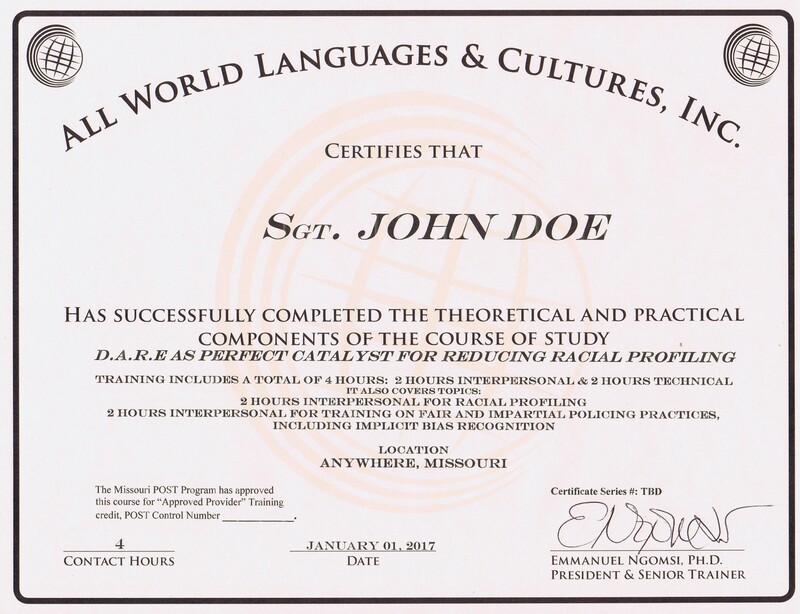 Participants’ ready-to-use training material package includes books, PowerPoint presentations, handouts binder containing numerous activities.